To mark the 150th anniversary of Lincoln's assassination, the Associated Press released an edited version of the report from that night. 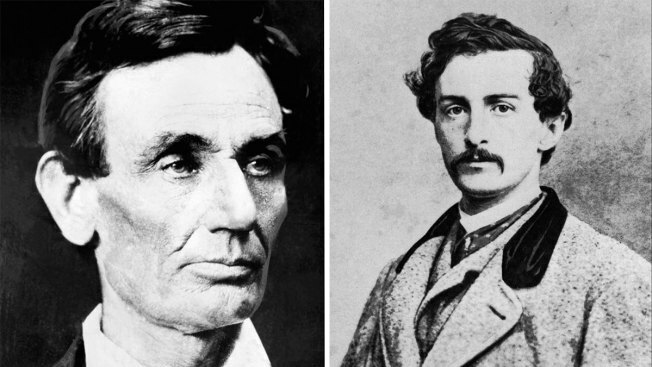 AP/Alex Hessler and Sun Classics Pictures, Inc.
President Abraham Lincoln, left, was assassinated by John Wilkes Booth. EDITOR'S NOTE: On the night Abraham Lincoln was shot, April 14, 1865, Associated Press correspondent Lawrence Gobright scrambled to report from the White House, the streets of the stricken capital, and even from the blood-stained box at Ford's Theatre, where, in his memoir he reports he was handed the assassin's gun and turned it over to authorities. Here is an edited version of his original AP dispatch. WASHINGTON, APRIL 14 — President Lincoln and wife visited Ford's Theatre this evening for the purpose of witnessing the performance of 'The American Cousin.' It was announced in the papers that Gen. Grant would also be present, but that gentleman took the late train of cars for New Jersey. President Abraham Lincoln's box at Ford's Theater is pictured in April 1865. This is the site of Lincoln's assassination. The groans of Mrs. Lincoln first disclosed the fact that the President had been shot, when all present rose to their feet rushing towards the stage, many exclaiming, 'Hang him, hang him!' The excitement was of the wildest possible description. On an examination of the private box, blood was discovered on the back of the cushioned rocking chair on which the President had been sitting; also on the partition and on the floor. A common single-barrelled pocket pistol was found on the carpet. It had been previously announced that the wound was mortal, but all hoped otherwise. 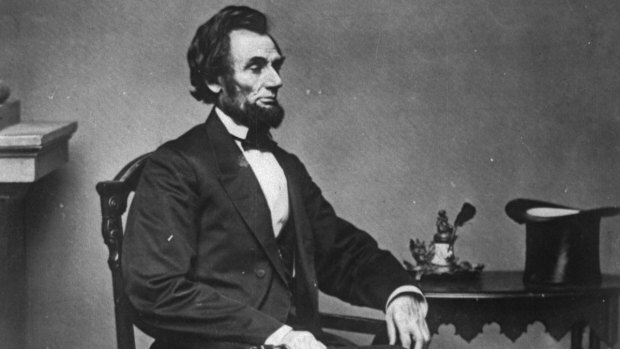 The President and Mrs. Lincoln did not start for the theatre until 15 minutes after 8 o'clock. Speaker Colfax was at the White House at the time, and the President stated to him that he was going, although Mrs. Lincoln had not been well, because the papers had announced that he and General Grant were to be present, and as Gen. Grant had gone North he did not wish the audience to be disappointed. He went with apparent reluctance, and urged Mr. Colfax to go with him, but that gentleman had made other arrangements. Secretaries Stanton and Welles and other prominent officers of the government called at Secretary Seward's house to inquire into his condition, and there heard of the assassination of the President. An immense crowd was gathered in front of the President's house (the White House), and a strong guard was also stationed there, many persons supposing that he would be brought to his home. The military authorities despatched mounted patrols in every direction, in order, if possible, to arrest the assassins. The whole metropolitan police are likewise vigilant for the same purpose.